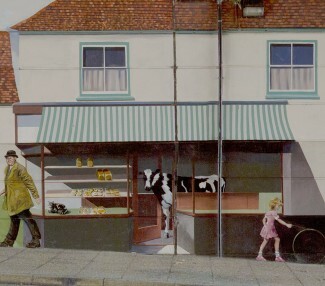 Percy Andrew's the 'cow-walloper', drove the cattle from Milford Goods Yard to the Market. 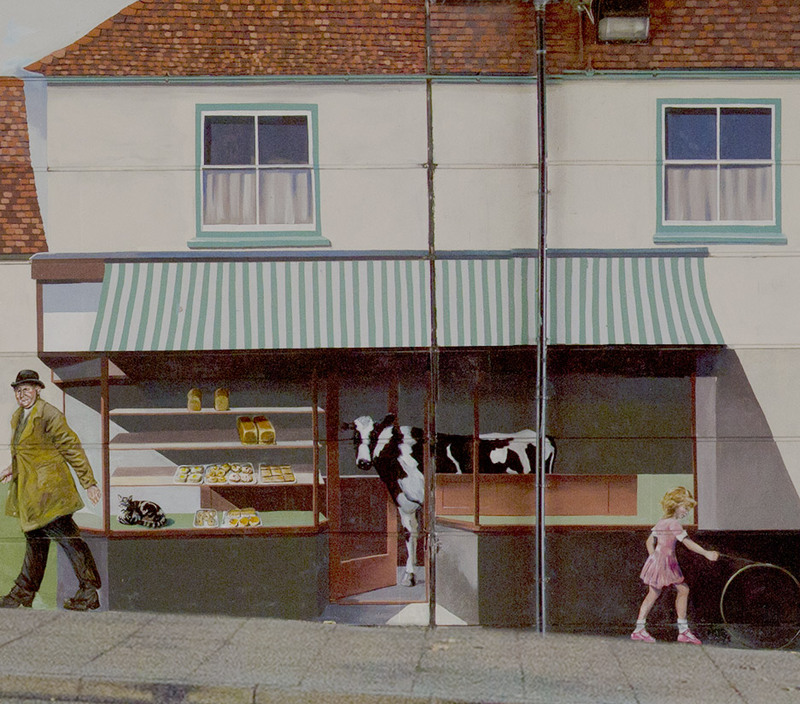 Some cattle invariably escaped, some of our interviewees remember them crashing into Foster's Bakery in Milford Street - as depicted on our Mural. The Blakey Road coal bunkers, opposite the Dust Hole pub, where the local coal merchants unloaded and stored coal from the yard, creating loads of dust - hence the 'Dust Hole' pub name. The last 2 were demolished c. 2012-13. If you scan the pub’s frontage, you’ll see that it’s called both ‘The Railway Inn’ and ‘The Dust Hole’. 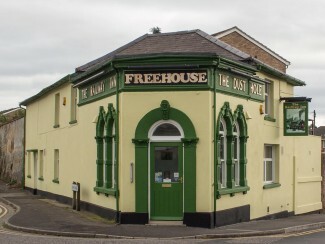 It’s not unusual for a pub to have a nickname as well as its legal title, but this one has two names that are both official. This is a part of Salisbury’s railway history – the pub’s the last working relic of our first railway station. The first railway company to come to Salisbury was The London and South Western, in 1847. They already had a good connection from London to Southampton and now they ran a line from there up to the nearest point in Salisbury – here in Milford. 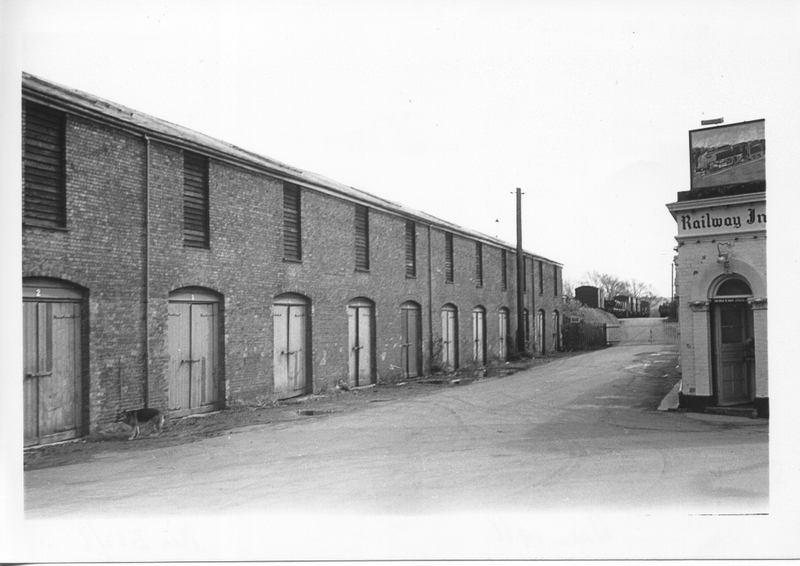 Salisbury’s first railway station, Milford Station, was built where the modern flats – The Sidings – now stand and further up Blakey Road a large freight depot took shape -served by Milford Goods’ Station. 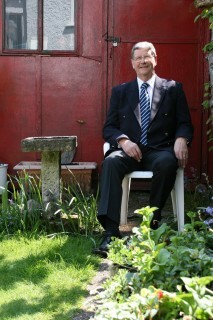 Ken Edwards remembers the cattle being driven from the Milford Goods Yard to the market. Some escaped! Listen to the audio clip on the right of this page or your downloaded MP3 file from the Downloads page. The coming of the railway created the economic boost that Salisbury badly needed and at this time the Railway Inn opened. A fire destroyed Milford station and it was rebuilt on the other end of Salisbury, where the present station now stands – at the end of Fisherton Street. With the loss of the station, the Railway Inn became a working man’s pub, serving the railwaymen, coal heavers and cattle drovers who used the freight yard and Milford Goods’ Station. Add the smoke from the big steam locomotives and you should get the picture – dusty men, drinking down the dust, in a dusty pub! Inevitably, it was nicknamed ‘The Dust Hole’ and the name remained even after the yard closed in 1962. No one ever called it anything else and in 1976 Gibbs Mew, the brewers who owned it, had the second name legally registered. For a time at least it was the only pub in Britain with two official names and even appeared as such in the Guinness Book of Records. The Dust Hole is a good family friendly pub selling local real ales, beers, lagers, ciders and food. Now return back downTollgate Road onto Rampart Road.